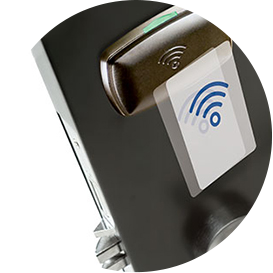 Following such issues as reprogramming of all locks after a power failure, Sofitel Abidjan Ivoire decided to remove their old Chinese electronic locks and replace them with 255 VingCard Classic RFID locks supplied by Afro Exports. 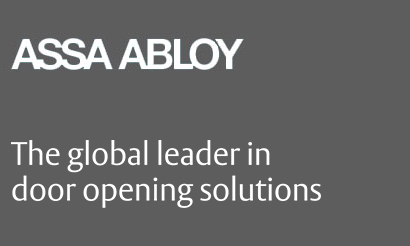 The hotel was pleased with the quality and reliability of these locks in one wing of its hotel and contacted Afro Exports again during the complete refurbishment of its other wing. 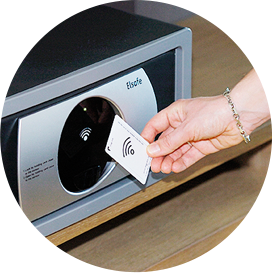 We provided a further 240 Elsafe Sentinel Advanced SD41 safes and 225 Signature RFID locks (a more sophisticated and modern lock that appeals to the modern hotel environment). Sofitel has 423 rooms in total, all of which have VingCard locks. Our technicians began the installation of the locks and safe units in the second wing in July 2013 followed by the setup of the Vision software system for which hotel staff received training. Continuing support and regular service of all equipment will be provided by Afratech Ltd, our sister company, through a maintenance contract. 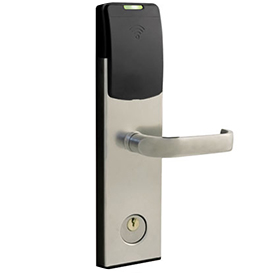 The door locks and the safes of the Hotel Ivoire have been provided by VingCard Elsafe since the commissioning of secure locks with audit trail capabilities! During the renovation of the Hotel which started in 2008, the new Sofitel Abidjan Hotel Ivoire was no exception to the rule to offer its customers quality security material: door locks, safety deposit boxes and lift access. By using VingCard materials, we mark our pleasure to work with this company, who not only offers quality materials but have always ensured permanent technical assistance.